I just did my usual wash with DevaCare No Poo and conditioned with DevaCare One Condition. 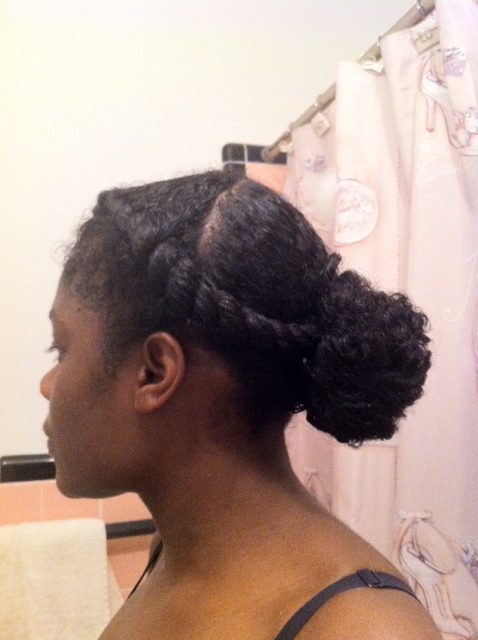 I decided to try something different (yet again) and styled my hair into “Two Flat Twists and a Bun” via Mrs. The Bronx. As soon as I finished the style, I freaked out! One section in the front of my hair looks like it’s balding! This is the same section that I always write about. 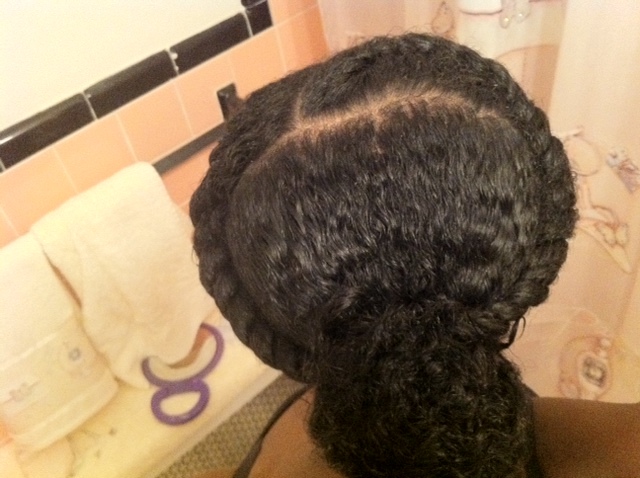 The scalp there is scaly and flaky at times. Tonight, it looked irritated (again) and like more hair was missing. I’ve been careful not to pull that area into my ponytail. 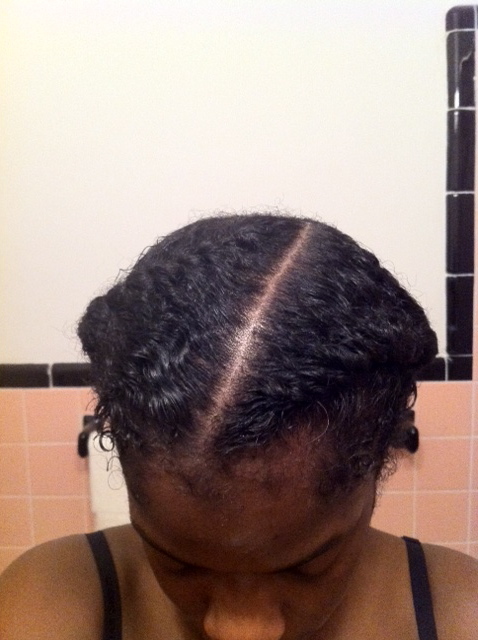 I’ve been purposely styling my hair to avoid putting gel in that area as well. Maybe I was too rough with massaging it while washing it? In my state of panic, I thought that maybe it’s all of this No Poo-ing and leave in conditioner that’s causing it to get worse. I figured my hair needed a good cleansing. I regressed and washed my hair with my trusted Dark N Lovely Shampoo and I even applied a little bit of Sulfur 8 to the area. I may have been a little rough while detangling (read: a lot rough) because I was frustrated. I honestly wanted to cut off all of my hair. Seriously. I styled my hair pretty much the same way it’s been styled. I’m a bit more relaxed now, but I’m finally going to stop procrastinating and schedule my dermatologist appointment. I just hope she doesn’t prescribe me Nizoral.